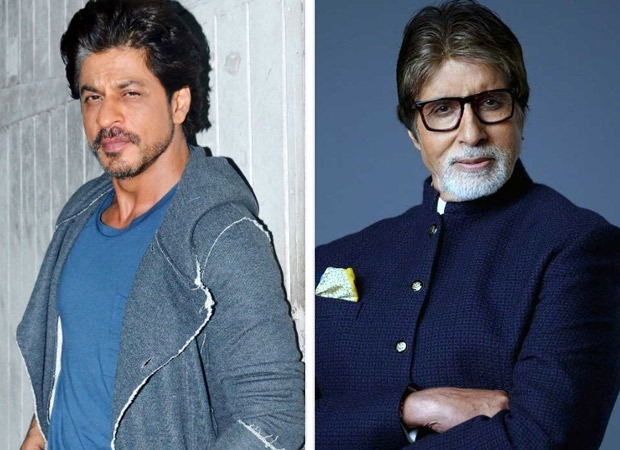 HomeCinemaMasalaShah Rukh Khan and Amitabh Bachchan to team up for This film! Shah Rukh Khan and Amitabh Bachchan to team up for This film! Shah Rukh Khan and Amitabh Bachchan have come together once again, but wait, it is not what you think! Well, SRK and Amitabh are collaborating on a project, titled Bada and this has really piqued our interest! According to our well-placed sources in the industry, Shah Rukh’s production house is on board to produce the film and we can’t wait to get more deets about this ambitious project. Amitabh is an evergreen actor who has been inspiring generations with his acting chops and magnetic on and off screen persona! Though 75, he is up and about in life at all times and never shies away from putting in hard work while working with the younger stars. He would be seen next in Thugs Of Hindostan with Aamir Khan and is currently shooting for Alia Bhatt – Ranbir Kapoor’s Bramhastra. He is having a lot of fun on sets and keeps posting anecdotes from his interactions with both Ranbir and Alia. He even went on to Twitter to post pictures from their prep sessions and said that the only reason he can’t put out more pictures is because he is not allowed to leak their look as of now. It is interesting how Amitabh Bachchan is always experimenting especially after there is nothing for him to prove. He was last seen as Rishi Kapoor’s father in 102 Not Out, a quirky comedy with a heart-warming story. Bramhastra is a fantasy fiction film while Thugs Of Hindostan falls in the period drama category. Amitabh Bachchan and Shah Rukh Khan’s association dates back to many years back and they have rocked as on screen father-son duo and now we will see them collaborate on a completely different level! Ranveer Singh to play a musician in Maneesh Sharma’s next? Sharon Stone And Antonio Banderas : Suddenly More Than Friends?